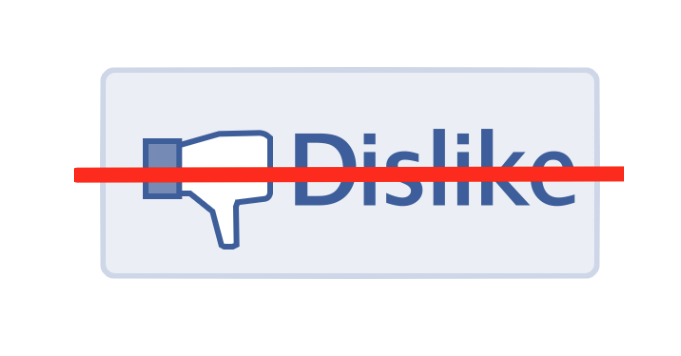 Facebook ‘Dislike’ button – required or not? Many of us are expecting Facebook to keep a ‘Dislike’ button along with ‘Like’. According to some people it is a ‘required’ feature. But is it really required? If yes what difference it can bring? The following views are only in my perception and does not need to be facts. Negative environment: Many of us think by using this feature we can provide negative feedback to the person who posted/commented that doesn’t make sense at all (insulting or bullying a person for expressing his/her views). But this is just one side view, how do you feel when some random person ‘Dislike’ your post/comment? Lets just say you posted a pic of your brand new car and people who did not like it ‘Dislike’ your car and you get more ‘Dislikes’ than ‘Likes’. Also you posted something related to social issue and then again people start to ‘Dislike’ your post. Then you feel offended, you feel someone is violating your ‘Right to Speech’. So, basically this will create a negative environment (but you expected negative feedback). This will create more mess than it is already. You need ‘Dislike’ button to ‘Dislike’ others’ posts, but you don’t want to get ‘Disliked’ right? But Quora has ‘Downvote’ option: Yes, it has because it is not a ‘Social Network’. It’s a Question and Answer forum, so it does need that option. In Quora people need right answer, but in Facebook everything is right in their own perspective. False news: According to a page called Logical Indian it is said that Facebook is working on a ‘Dislike’ button, which is not true. Please check the actual news at TechCrunch. Mark Zuckerberg in his own words: We didn’t want to just build a Dislike button because we don’t want to turn Facebook into a forum where people are voting up or down on people’s posts. That doesn’t seem like the kind of community we want to create. [Imran Parvez] Quora’s answers can be compared to fb’s post comments: Yes I agree with this feedback, when you are commenting on a post in Facebook, you are arguing/supporting/expressing your/his/her views which is the same thing you do while commenting on Quora’s answer. But you cannot compare Facebook posts with Quora answers for the reason we discussed above. I have discussed only cons, what about pros? : Frankly I am still not clear about pros a ‘Dislike’ button can create. One of the examples is – If you share a post about violent crime people start disliking it. It could mean two ways either people dislike your post (because they don’t want to see that kind of stuff) or people dislike the post to express that they hate ‘crime’ happening in public. In this case even ‘Liking’ it also doesn’t make sense. Hence Facebook is working on sorry/empathy button which you can use to express in these kind of situations. According to me if Dislike introduced then there will be some kind of useless competition for likes and dislikes for a particular post will come in between and even if one post got many dislikes then obviously most of the people will delete their post. This will happen for sure in my view.